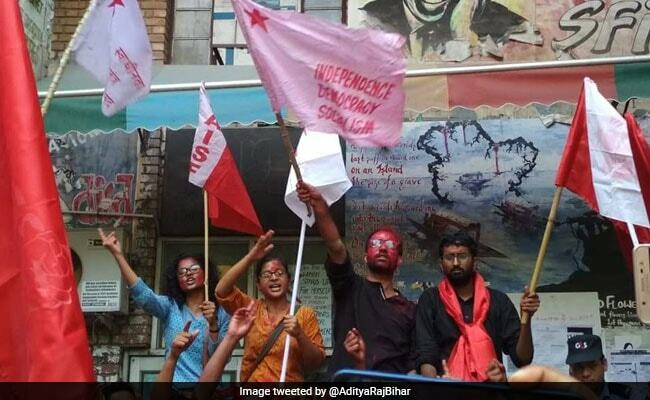 The Left unity has won all four key posts in the Jawaharlal Nehru University Students' Union (JNUSU) polls. Counting of votes resumed Saturday evening after it was suspended for nearly 14 hours. Members of the Akhil Bhartiya Vidyarthi Parishad (ABVP) claimed that counting had started without informing them. The Left group's N Sai Balaji has been elected as the president, Sarika Chaudhary as the vice president, Aejaz Ahmed Rather as the general secretary and Amutha Jayadeep as the joint secretary. The Left student bodies part of the unity are All India Students' Association (AISA), Students' Federation of India (SFI), All India Students' Federation (AISF) and the Democratic Students' Federation (DSF). 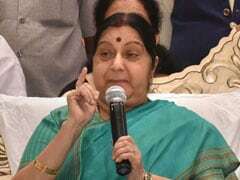 While N Sai Balaji bagged 2,161 votes, Sarika Choudhary got 2,692 votes, Aejaj Ahmed polled 2,423 votes and Amutha won 2,047. Yesterday ABVP supporters allegedly ransacked the School of International Studies building, where the ballot boxes were stored. Besides the Left bloc, there were candidates of the ABVP, the NSUI (National Students' Union of India) and BAPSA. The RSS-backed ABVP won the three top posts - president, vice president and joint secretary - in the Delhi University Students' Union election; while the Congress affiliated NSUI took the secretary's post.